Stereo Sue The book Fixing My Gaze which describes the astonishing experience of gaining 3D stereovision after a lifetime of seeing in only two dimensions. About Success in School with Vision Therapy Read stories written by students, parents and teachers about improved grades, reading, spelling, math, handwriting, and more. Attention Deficit Disorder and Vision Is it really ADD/ADHD? Or is it an undetected vision problem? Convergence Insufficiency and Reading Problems This article by an eye doctor explains how and why convergence insufficiency causes problems with reading and learning. See the illustrations. Dyslexia and Vision The American Academy of Optometrists and the American Optometric Organization discuss vision, learning-related vision problems, and dyslexia. Tracking Problems and Reading Difficulties Article by an eye doctor explains how and why tracking problems interfere with reading skills. See the illustrations. Vision Therapy and LDs As part of an interview, an eye doctor discusses whether Vision Therapy helps learning disabilities or learning-related vision problems. Lazy Eye, Crossed-Eyes, Double Vision, Strabismus, etc. An explanation of strabismus and related material. lazy eye? Lazy eye is not the same as strabismus (a crossed eye or an eye turn). Read this very easy-to-understand explanation. Children’s Vision A large web site with many pages of easy-to-understand information on lazy eye, crossed-eyes, strabismus, developmental delays, eye muscle surgery, dyslexia, binocular vision impairments, and much more. Eye Muscle Surgery Answers to the most frequently asked questions regarding eye muscle surgery as a treatment for lazy eye, crossed eyes, etc. This type of surgery is frequently done, but often does not give satisfactory results. 3D Vision (Binocular Vision) How does it work? Why do we need it? Eye Doctors and 3D Vision Eye doctors use stereoscopic 3D images to develop and reinforce 3D vision. The Stereo Vision Project What is stereo vision? What is a binocular (two-eyed) vision impairment? vision3d.com Learn to see in 3D! Visit the 3D Art Gallery and view Magic Eye stereograms, stereo photographs, optical illusions, and much more. What is a Complete Eye Exam? It is not enough to test the clarity of eyesight at a distance of 20 feet (known as 20/20). A complete visual evaluation tests many aspects of vision. What is Vision Therapy? Various definitions of Vision Therapy by American Optometric Association, eye doctors, and patient advocates. 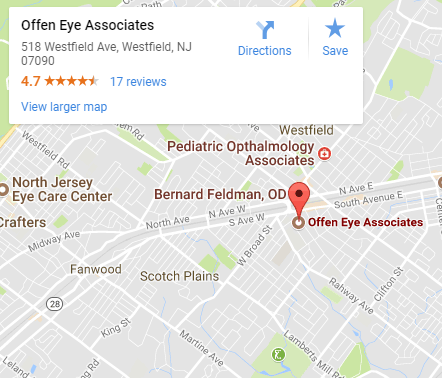 National Directory of Eye Doctors Find an eye doctor in another state. This directory provides free referrals to eye doctors who offer specialized services, such as vision therapy, neuro-optometric rehabilitation, therapeutic lenses, preventive care, etc. Vision Therapy FAQs An eye doctor answers questions about Vision Therapy in an interview. Optometrists and Ophthalmologists What are the differences in practice focus between a pediatric optometrist and a pediatric ophthalmologist? Choosing an Eye Doctor Comments by educators on choosing pediatric vision care for a child. Vision Glossary Build your visual health vocabulary. COVD (College of Optometrists in Vision Development) is the only national organization that offers board certification to eye doctors in the areas of vision development, perceptual impairment, and vision therapy. This educational site provides information and an internal directory of certified practitioners. (Optometric Extension Program) is an organization dedicated to both the postgraduate study of vision development and therapy for optometrists. They also take an active roll in informing the public about issues involved in vision and learning. 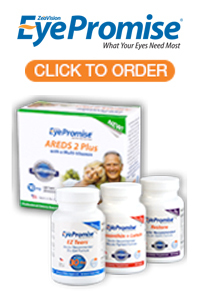 Vision Therapy This site provides answers to frequently asked questions about vision therapy. Optometrists Network — A national network of optometrists. COVD — The College of Optometrists in Vision Development An international professional organization which grants board certification in Vision Therapy to optometrists. AOA — The American Optometric Association Organization of 32,000 optometrists. NORA — Neuro Optometric Rehabilitation Association International, Inc. An organization which provides direction for the visual rehabilitation of persons who have physical disabilities and/or traumatic brain injuries (TBI).